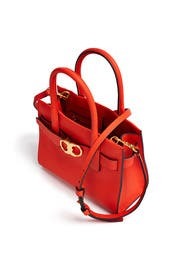 Signature double-link hardware adds polish to this structured leather tote by Tory Burch. 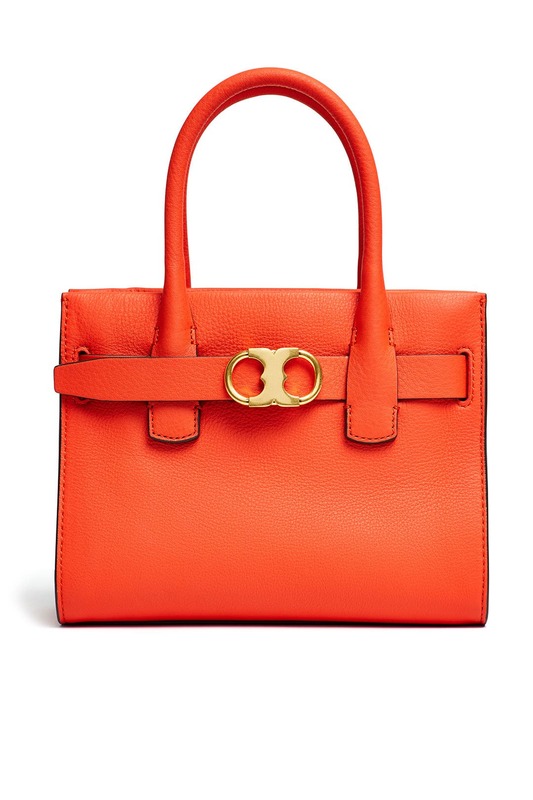 Spicy orange pebbled leather small tote with gold plated gemini link logo. Magnetic snap bridge closure and 1 interior zipper pocket. Handles have a 4.75" drop and adjustable crossbody strap has a 20" drop. 7.6'H x 9.6"L x 4.4"D.
Great bag for date night! 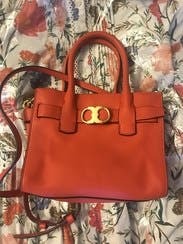 Super cute bag in a beautiful color! Love renting designer handbags as part of my Unlimited subscription and this baby was no exception! Incredible quality in a cute size and color. Only had it out one day and got several compliments. Has great structure! Cute, great color but very small. Very small but looked vibrant and brand new. Great size. Tempted to keep this one. It arrived smushed and misshapen but I think I'll be able to fix that. It's a great color and nice small size, I'm excited to use it! For me this was just the right size. I prefer smaller handbags. Large enough to hold cell phone (iPhone X and Samsung Galaxy note 8, lipstick... Just about anything you would need during the day. Leather very soft and color is exactly what I wanted! Thanks again!!! 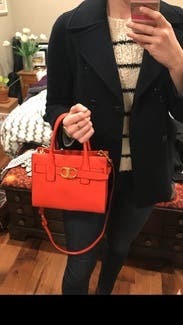 Great quality bag, fun pop of color to my outfits. Suitable for so many occasions and everyday. Would highly recommend.. I will definitely be borrowing this again! Great bag! You could use with or without the strap extension. Loved the detail in the front and the bright color. Perfect bag for running around this summer! Adorable bag, perfect for everyday. Bag was way smaller than advertised and creased from being shipped. Colour was nice but the bag was just too small to be used. Really adorable, well made bag. Not big but great for a night out or day trip. Great pop of color but feels cheap. 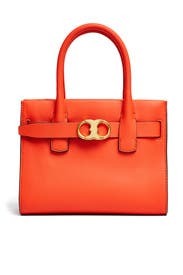 I loved the color on this bag for fall but was underwhelmed by the quality of the leather. Fun, seasonal, and perfectly sized. This small bag offered fun and versatile seasonal color, classic design, and enough room for all the essentials. It has an expensive look and the leather is soft to the touch. I got lots of compliments on how cute and perfect it was for early fall. 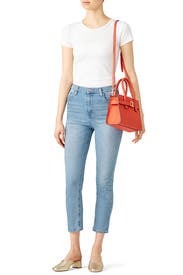 nice long strap for cross body wear. Rented as one of my four items for the month. I like the color of this purse. Use it as a statement accessory. The quality and accessibility to the inside was ideal. Wore to a sorority event! It was the perfect addition to my outfit and school spirit! I loved the color. The bag was just so droopy. In the picture it looked very structured so that’s what I was expecting. Something a bit more boxy and a harder material. It wasn’t defective just not what I expected so I never used it.